1/500th of a sec is the minimum shutter speed I feel comfortable shooting action shots with.When you shoot in manual mode or shutter priority mode, you have to set the shutter speed on your DSLR. Of all the things you can set on your DSLR, shutter speeds have the most choices. On my Nikon D300 I can choose from the fastest setting of 1/8000th of a second to essentially infinity (bulb mode). 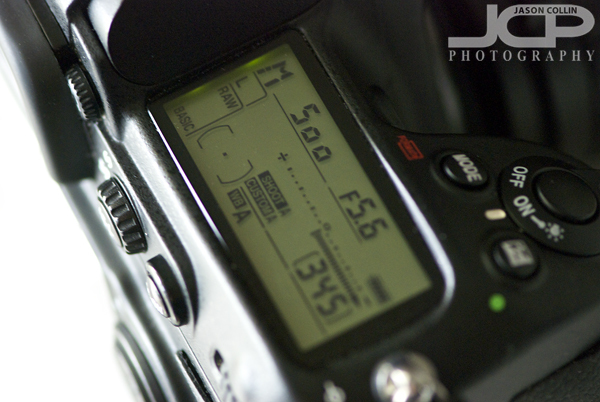 So how to decide which shutter speed to use? This week's photography tip is for choosing a minimum shutter speed for action shots or shots with moving subjects. For me, I only feel comfortable with a minimum of 1/500th of a second when photographing anything moving. You may be able to get away with a little slower shutter speed for not so fast moving subjects, but 1/500th of a second gives me confidence that I will freeze most action. 1/500th is the minimum though because for faster moving subjects like competive cyclists, excited dogs, etc, then even faster shutter speeds may be required. Basically, for anything happening in your own backyard, 1/500th should be fine. Now you have a starting point for setting your shutter speed for action shots.